For as long as Bad Apple is in print, $3/hand-sold copy and 50% of my royalty checks will be donated to the American Association of Caregiving Youth. From the AACY website: Caregiving youth are children and adolescents who look after someone in their family who has an illness, a disability, frailty from aging, a mental health problem or a substance misuse problem. They take on practical and/or emotional caring responsibilities that normally would be the role of an adult…In addition, many caregiving youth also have responsibilities for younger brothers and sisters and all or most of the household chores. I was a childhood caregiver, as were my siblings. It is a hell like no other, and its damaging mental and emotional effects can often limit or thwart a productive, healthy adult life. In order to minimize that long-term damage, the AACY provides these caregiving youth with a myriad of services, including but not limited to respite, counseling, education, social activities, and tutoring. By providing such services and support, these children have a better shot at a balanced adulthood. When I learned about the AACY through recent articles on CNN due to the fact that its director, Connie Siskowski, was named one of its ‘Top 10 Heroes of 2012,’ I was thrilled. Someone was not only exposing this terrible situation as a valid social concern to the general public, but making people aware that it is more common than anyone would have thought. And on top of it, working to let these children know that not only are they not alone, they shouldn’t be ashamed to ask for help, that they are deserving of a childhood, and they are not doomed to failure due to circumstances beyond their control. I can only imagine how things might have been different if an organization like the AACY had been in existence when we were growing up. 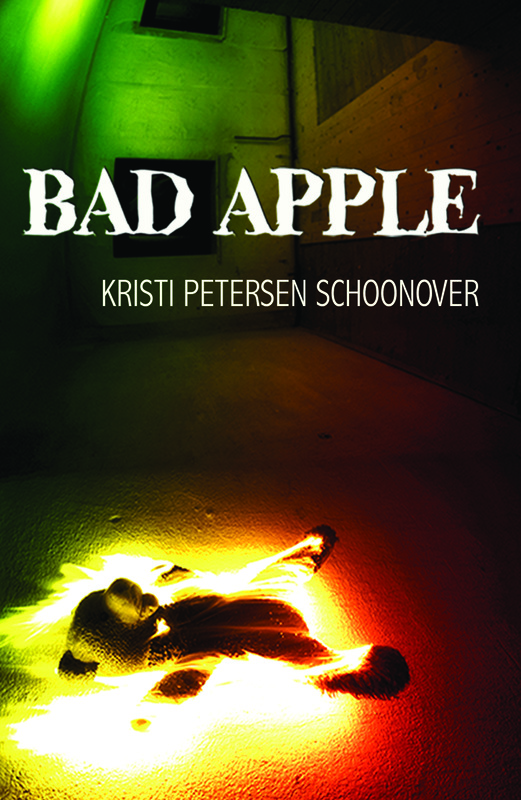 Bad Apple is, through the lens of horror fiction, my story. At its very core is the message, this is what can happen to a youth caregiver when he/she doesn’t get help. That’s why I want to use it to spread awareness about this important issue that affects, according to the AACY website, 1.4 million children between the ages of 8 and 18 in the United States. For as long as Bad Apple is in print, I will donate 50% of my royalty checks to the AACY. In addition, $3/per every print copy I hand-sell myself (such as at a con or speaking engagement) will be donated to the AACY. The remaining monies will go right back into promotions to keep spreading the word, which won’t cover it all, of course, but it’ll help. See? Every little bit helps! To purchase a signed copy from me, reach out to me through my Contact Page.